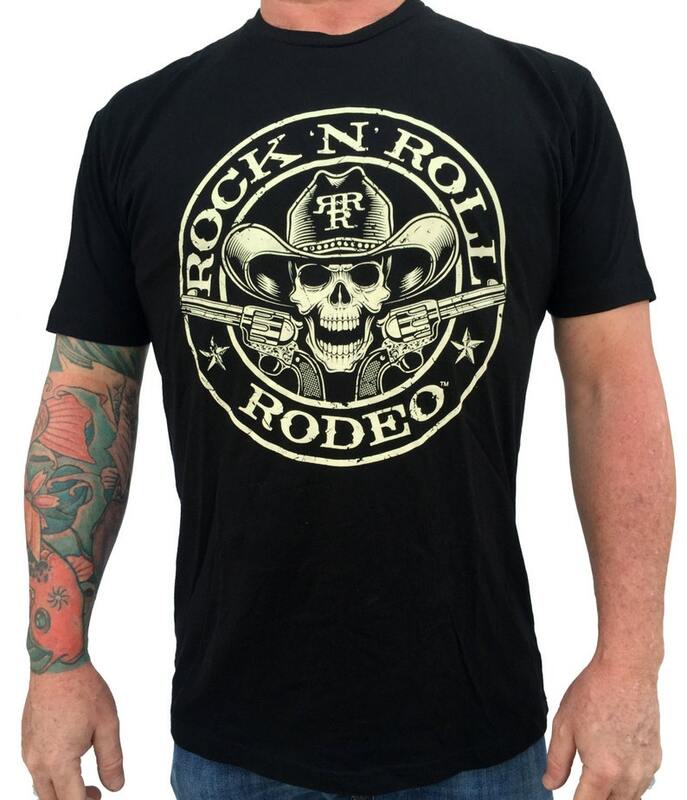 Rock 'N' Roll Rodeo t-shirt featuring badass cowboy skull with guns and plenty of attitude! 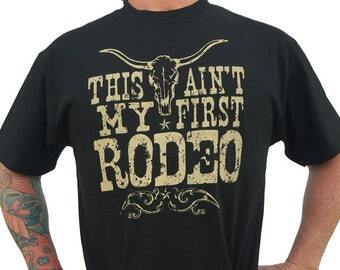 Wear it to a rock show, country show, rodeo or metal show. Great for any night out on the town or just chillin'. 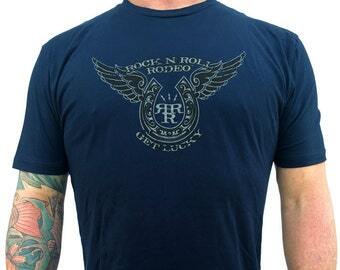 Printed on black, 100% pre-shrunk super soft cotton, made in USA. We have sizes SMALL through 3XL listed here in our Etsy store. Our sizing on this garment is "true to size" so please order accordingly. Shirts are pre-shrunk, however washing in hot water and drying will encourage slight additional shrinkage. We use waterbased inks that are designed for a vintage look and feel.